Join us for the FLOW Collective, a one-day gathering where creatives and heads of the industry come together to discuss the current state of the film, music, and television plus provide feedback to participants through pitch sessions, think tanks, and breakout sessions incorporating the concept of flow across a variety of creative disciplines. FLOW #1: Business Essentials for Creative Financing, Marketing, & Distribution for film, music, and general industry businesses. FLOW #2: Writing & Actors Pitch Session – pitch your new story script and/or show your acting reel for feedback. FLOW #3: Cinematography & Music Roundtable – the synergistic relationship between music and the moving image. FLOW #4: Cinematography & Music Pitch Session (Participants show their reel for industry feedback or play up to 1 minute hook/beat). In 2010, Waters founded the Richmond International Film Festival (RIFF). RIFF brings 120+ international film screenings, industry panels, Q&As, live musical performances, red carpet awards, the FLOW Collective, and entertainment mixers that bring the spirit of Hollywood to Richmond at Bow Tie Movieland Criterion Cinemas, and the historic Byrd Theatre. As a writer, producer, and director, Heather has been instrumental in such film projects as The People v. God; Sleep to Dream; Stillwater Lake; Trading Ages; Strive; and The Youth Roundtable Project, and more. She serves as the President of the Virginia Production Alliance (VPA), the leading advocacy organization responsible for bolstering film and developing crew and talent across the Commonwealth of Virginia. Ted Adams III is the inspiration and motivation behind the multiple award winning and Best Selling film, TRI, and the President and Founder of Red Zeppelin Productions LLC. Mr. Adams found the inspiration for the characters that made TRI from the triathletes he met while training and competing in triathlons. Mr. Adams is a two time Ironman Finisher received certification as a USAT Level 1 Certified Triathlon Coach. When swimming, biking and running aren’t enough Mr. Adams enjoys martial arts as a Black Belt in Taekwondo, dancing through the clouds as a licensed pilot, or picking up the Didgeridoo to drone the night away. He has studied multiple languages including: German, Spanish, Mandarin, Tagalog and Japanese. Mr. Adams embodies the Renaissance Man. 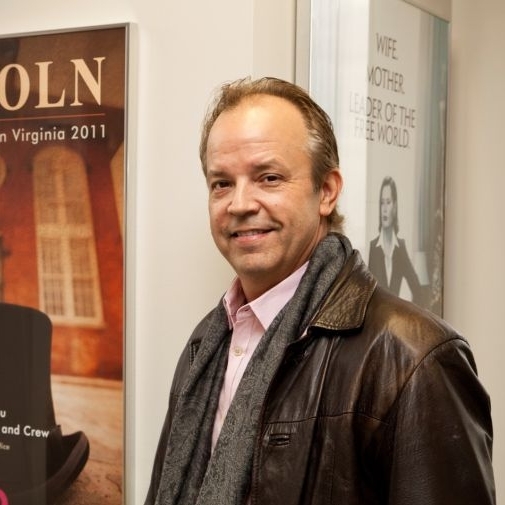 Andy Edmunds, Director of the Virginia Film Office, is a Virginia native and an accomplished musician and songwriter. After studying music at VCU in the mid 80s, Edmunds produced a music video of one of his songs that was broadcast on MTV. 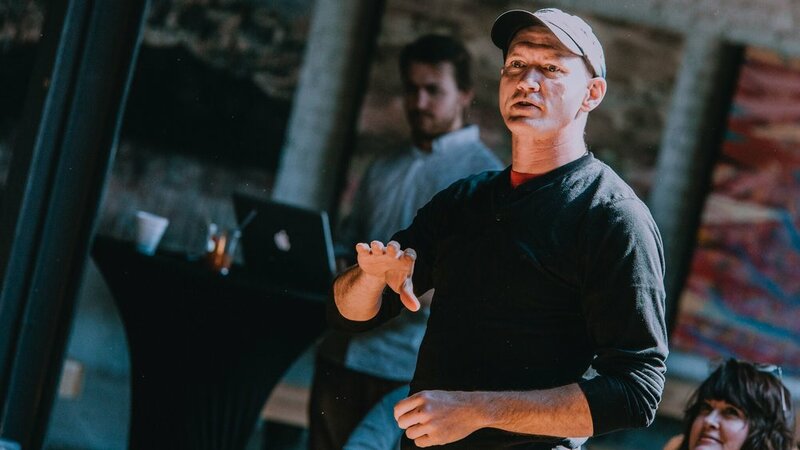 This experience introduced him to the film production industry where he ultimately settled in as a location scout until landing a job at the Virginia Film Office in 1997. “I found myself in a non-traditional area of economic development that seemed to be perfectly suited to my experience and interests. Every day I look forward to continuing to give back to the state I know and love through an enthusiastic approach to attracting clients and delivering creative solutions,” says Edmunds. 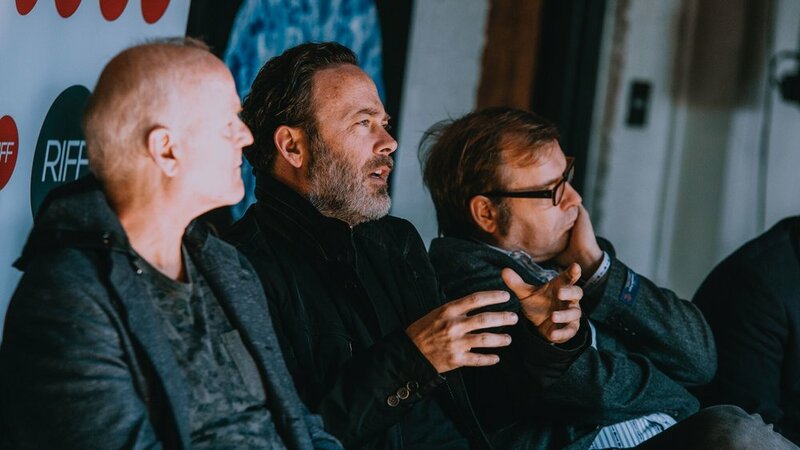 During his time with the Film Office, Andy has worked with the most notable filmmakers of our time including Terrence Malick, Ridley Scott, Clint Eastwood and Steven Spielberg to name a few. Before directing his first feature film Juwanna Mann for Warner Bros./Morgan Creek, starring Vivica A. Fox, Miguel Nunez and Tommy Davidson, American film director & producer Jesse Vaughan started his career as a director for WTVR-TV6 in Richmond, Virginia where he directed local news and produced his first television show at the ripe age of 19-years-old. He has been nominated for 42 Emmy Awards during his career for which he has garnished 27. Over the past 28 years, Erica has contributed to, participated in or helmed the making of over 130 films, 80 television shows and many multimedia commercial projects. 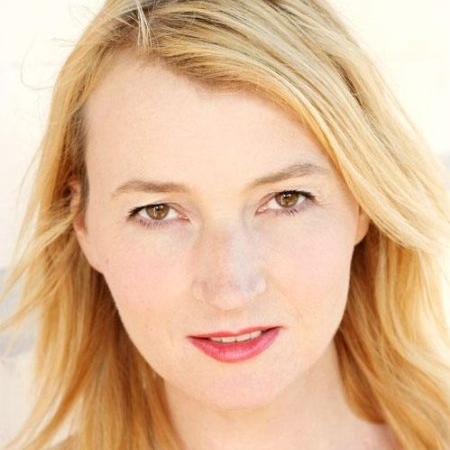 Recent credits include Loving, TURN: Washington’s Spies and House of Cards. As an educator, Erica travels across the country to speak at film festivals, universities and schools and frequently leads master classes for film artists. Erica is a member of the Casting Society of America and the Academy of Television Arts & Sciences. She is grateful to the many writers, filmmakers and actors who have entrusted her to collaborate over the years ( www.arvold.com ). Anne is an award winning casting director and educator. As an adjunct faculty member for VCUarts Cinema, she has overseen the casting of scores of 35mm student films since 2007. Anne serves as the Workforce Development Liaison for The Virginia Film Office, organizing training seminars for the local film industry. Bringing over 25 years of casting experience to ever project, she has cast countless actors in 150+ films, including, Loving, Home on the Strange, Shooting the Prodigal, Big Stone Gap, Killing Lincoln, The Abolitionists and Spielberg's Lincoln. With a keen eye for talent, and excellent taste Anne is always on the lookout for fine actors. Cited as "truly multi talented" by the media, Anna Wilding, has a career both in front of the camera and behind the scenes for over 20 years and multiple countries. Anna has worked on major motion pictures from major blockbusters from "Lord of the Rings" to independent films such as her own award-winning film, "Buddha Wild Monk in a Hut." In addition to award winning films Anna has worked Directed and/or Produced high-end major rock music videos such as Stanley Jordan, Lenny Kravitz, the Rolling Stones,World Music Award Winners Moana and the Moa Hunters,David Parker, Crowded House regular singer Annie Crummer and others. Her music videos have aappeared throughout the world on VH1, MTV, E!TV, YouTube and others. 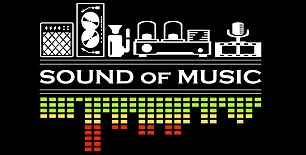 Sound of Music founder, John Morand, has worked with bands and filmmakers through out his 30+ year career in recording that has brought him platinum records and a reputation as Richmond's premiere sound engineer. John brings a rare degree of precision and incredible diversity to the art of tracking and mixing music, and has worked artists such as Amos Lee, Hanson, Cracker, Black Crowes, Carbon Leaf, many RVA based bands and artists, including Lamb of God and Susan Greenbaum. 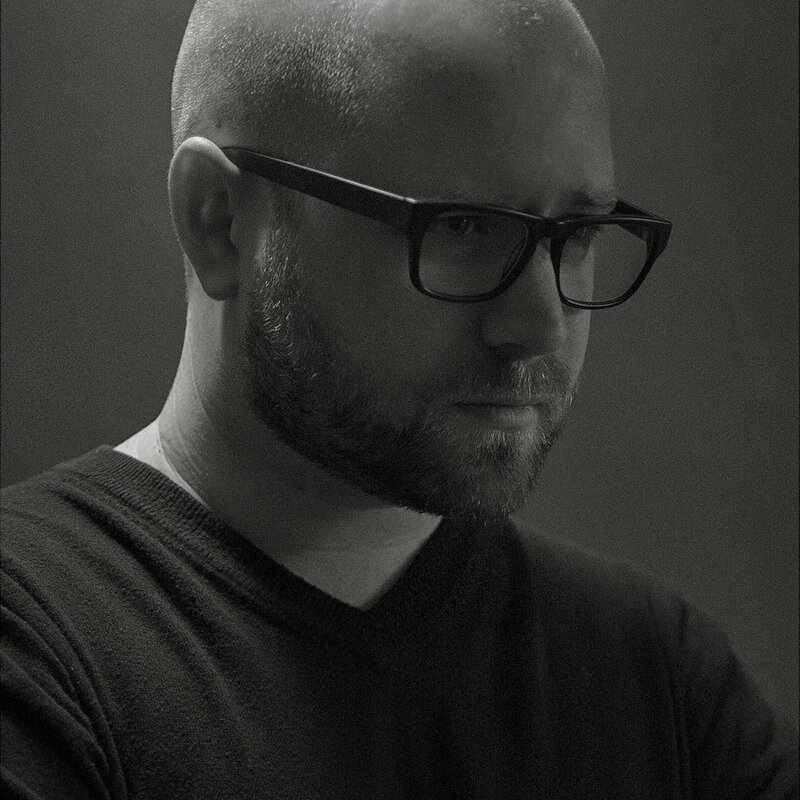 Writer/director Derrick Borte began his career as a painter.After receiving his Bachelors of Fine Arts from Old Dominion University, he earned a Masters of Arts in Film and Media Studies at PARSONS/The New School in New York, and joined the production staff at Sony Music Studios, where his fine arts background evolved with his indoctrination to film and video. In 2010, Derrick Borte wrote, produced, and directed THE JONESES, which garnered a Gala presentation at the 2010 TORONTO INTERNATIONAL FILM FESTIVAL. The film was also an official selection at the DEAUVILLE FESTIVAL OF AMERICAN FILM, DALLAS INTERNATIONAL FILM FESTIVAL, SARASOTA FILM FESTIVAL, SEDONA FILM FESTIVAL, and ZURICH FILMFESTIVAL. He is currently working with Echo Lake Entertainment on a television series based on THE JONESES. Borte’s work has also expanded into the episodic and commercial world, where he has directed campaigns for Taco Bell, Jaguar, Volkswagen, Barbasol, Betty Crocker, Afrin, and others, as well as over 50 episodes of Television. His recent work includes LONDON TOWN, which he directed. The film premiered at the BFILondon Film Festival, Rome Film Festival and Los Angeles Film Festival in 2016, and was purchased by IFC Films for theatrical distribution. Sunny Zhao is one of the most creative, passionate, and fun people you’ll ever meet. His love for filmmaking occupies nearly every waking moment; from the way he tells stories and jokes to the endless hours spent researching film, music, art, fashion, and technology, Sunny thrives on working in a positive and enthusiastic way. For Sunny, passion and emotion are primary ingredients to how he approaches his love for visual storytelling. Los Angeles composer Andrew Scott Bell hated piano lessons as a child. In truth, he hated sitting still for more than two minutes. By fifteen he was learning film scores by ear, reading Blink-182 guitar tabs, and writing sappy pop punk love songs. Now his music has brought life to more than two dozen short and feature films and has premiered in five different countries. Andrew earned a degree in music composition from Christopher Newport University where he studied with Dr. Christopher Cook. He interned with composer Joseph Trapanese during his work on The Divergent Series: Allegiant. Most recently, Andrew wrote the original score to Rocket, which has won a Student Academy Award. Carlos Chafin began his career in recording as a teenager playing studio sessions. He attended classes at VCU School of Music until his session schedule pulled him into the music business fulltime. Working as a recording and maintenance engineer for the legendary Alpha Audio, he eventually branched into working at other studios with clients like the Rolling Stones, Pat Benatar, Clarence Clemons of Bruce Springsteen’s E Street Band and many others. Carlos’ interests are wide and span electronics, software development, and playing keyboards and drums. He is best know however for his music composition and production. Carlos compositions include three scores for Superbowl Commercials, hundreds of themes and scores for ad clients including Coke, McDonalds, Sprint, Walmart, Total Wine, Purina, Kraft, GEICO and many others. He co-wrote the tourism music for Virginia Is For Lovers, North Carolina‘s tourism theme and Visit Florida. He is also credited with the logo theme for Sesame Workshops. He is now co-heading the new VCU Advanced Media Production and Technology (AMPT) program which he is praying will finally launch in Fall of 2015. 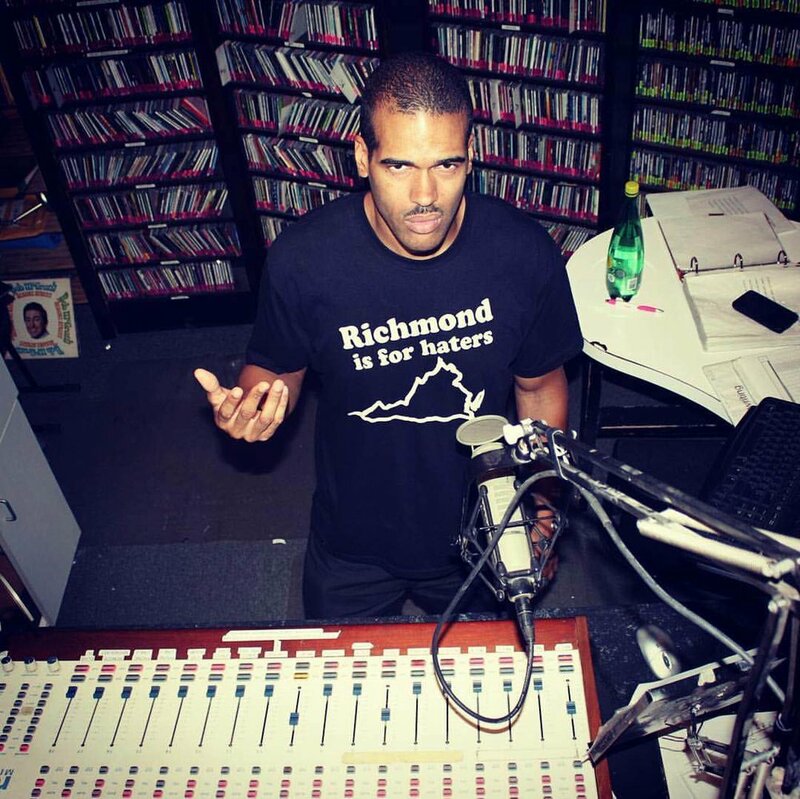 He currently teaches two classes for the VCU Department of Music in recording and production. Nate Covell is consummate geek whose heart has always been torn between comedy and a fascination with the pursuit of virtue. Previously, he worked for the White House Military Office in DC, in cyber counterintelligence, in the Middle East, was a Japanese interpreter and lived in Japan and Italy. Nate has a B.A. in Creative Writing and has done graduate work at Harvard. As an award-winning author, screenwriter, filmmaker and actor, Nate has experience positioning his work in multiple mediums. He has orchestrated marketing campaigns leveraging social media, crowd-funding sites as well as hiring third-party agencies. Nate has also flown to Hollywood to pitch to industry executives and had his pitch brought to top execs at Village Roadshow Pictures. Living in Japan for 5 years has given him some entertaining insights on the Japanese culture, as well. He currently has two books and several short stories in circulation and is always looking for a movie exec who can recognize talent when they see it. Since 1993 illustrator, animator and comic book-artist Hannes Rall creates commissioned pieces and independent artistic works in the fields of 2D animation, illustration, comics and character-design. unique look in his art, incorporating various influences such as German expressionism, modern comic/manga-styles and a reduced colour-palette. In his animation his goal is to combine fluid and sophisticated animation with an innovative look in the design. He is equally well versed in the use of traditional and digital tools. David is the founding president of BellTower Pictures. He started his career in radio then moved into television, film and multimedia production in 1969. 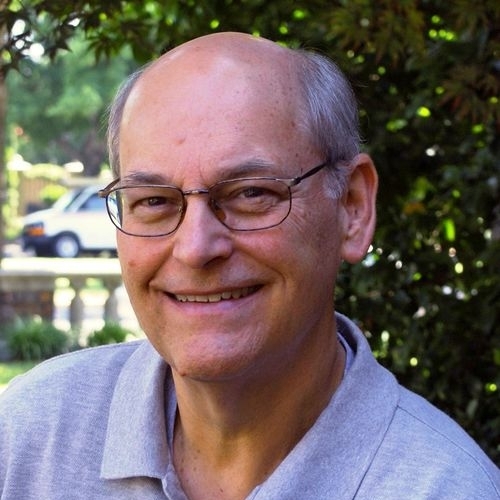 He earned his undergraduate degree in radio/TV/film production from the University of Georgia in 1973, and over the next several years was involved in television in local churches as a producer and director, and in community theater as an actor. After earning a Masters degree from Southwestern Seminary in Fort Worth, Texas, David served as Media Minister for Broadway Baptist Church. There he produced and directed several award-winning television programs. He later joined the electronic media production staff of the Baptist International Mission Board in 1987, and for the next few years, traveled and worked in 25 countries on five continents producing short video features and directing two dramatic feature films for use in evangelistic missions overseas. David later joined the staff of Richmond’s First Baptist Church, and led the church’s communication ministry where he produced 1,000 hours of local television programming, wrote/directed commercials, promotional videos and two hour-long, award-winning Christmas music specials. 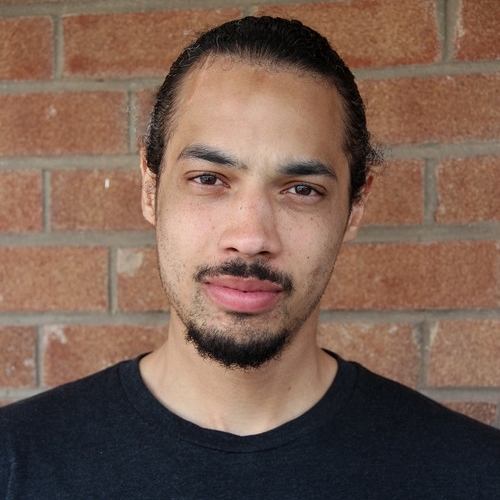 Jai Jamison, Director, was awarded a scholarship to study film at Oxford University. Jai's latest project is the award-winning feature film, TRI. He was recently selected by Shoot Magazine to be in their 2016 New Director’s Showcase. Megan Holley is a writer and editor, known for Sunshine Cleaning (2008), The Snowflake Crusade (2002), and Kolma. Born in California, raised in Virginia, Black Liquid, has been in Richmond since the 3rd grade. There was nothing like it, living on the road, hotels, suburbia, apartments, with no extended family to connect with, music ever present and prevalent, it was life’s twists and turns that led to Black Liquid becoming synonymous with Hip-Hop. A father serving life in prison, friends who were incarcerated, friends who passed away from drugs, food stamps, empty pockets, all served only as wind for the sails of what was and still is, an every day struggle. Two radio shows a week (Hip-Hop 101 Monday Nights 11PM-1AM on WDCE 90.1FM and Hip-Hop For The Rest Of Us Saturday Nights 1AM-3AM on WRIR 97.3FM), two headlining shows at The National, two opening performances for Snoop Dogg as well as Bone Thugs-N-Harmony and DMX, also opening for Fabolous, Doodlebug, and Rapper Big Pooh, along with a discography of 16 free albums teaching a creative writing class to 7th & 8th graders at the private school Sabot At Stony Point as well as being the assistant director of a Songwriting program with Art 180 at Henderson Middle School, an article in Style Weekly as well as several internet magazines and blogs, are all simply parts of what the name Black Liquid represents: positivity.